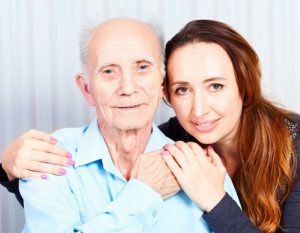 Every year, about 42 million Americans provide unpaid caregiving services to ailing loved ones. Caregivers often neglect their own health and wellbeing and are at risk for developing chronic pain, heart disease and other serious health problems. But there are steps caregivers can take to protect their health so that they’re still able to help care for their loved ones. Many caregivers are so busy and focused on caring for their loved one that they neglect their own health. However, the resulting medical problems ultimately hurt not only their health, but their abilities to continue to provide care. For a new study published in the Journal of Applied Gerontology, researchers from Ohio State University distributed questionnaires to 46 informal caregivers. These questionnaires asked the study participants about which caregiving tasks they found the most physically demanding, and where on their bodies they experienced the most chronic pain. Results showed that 94 percent of those surveyed experienced musculoskeletal pain in at least one area of their bodies. Seventy-six percent said they had chronic problems with their lower back. Knee, shoulder and wrist pain were each problematic for 43 percent of study participants. Other results showed that 78 percent of caregivers felt the pain interfered with their ability to provide assistance to their loved ones. Sixty-six percent said pain hurt their quality of life. The study authors noted that many of these problems are common among professional caregivers, but unlike those who informally play this role, the professionals can rely on their training to help them cope with the pain and other issues. Chronic pain is not the only potential medical complication of being a caregiver. Those who look after their ailing loved ones but neglect their own health needs are at risk for developing depression, anxiety disorders, cancer, heart disease, diabetes and other metabolic problems. Check local resources for training courses on caregiving. Keep track of all your activities, needs and resources. Ask family members or friends for help if you need a break. Research local services, such as adult day care, support groups and respite programs. Be mindful of your own health and well-being. If you’re a caregiver and feel overwhelmed, it’s worth making a family health advisor a part of your support network. Crafting a step-by-step plan for both your needs and your loved one’s with ensure your health isn’t placed on the back burner. Health advisors can then put you in touch with medical providers who will help you develop and sustain healthy living habits. At the end of the day, your own health benefits your loved ones. To learn more about how to ensure you’re taking care of your health while providing care for a loved one, click here.